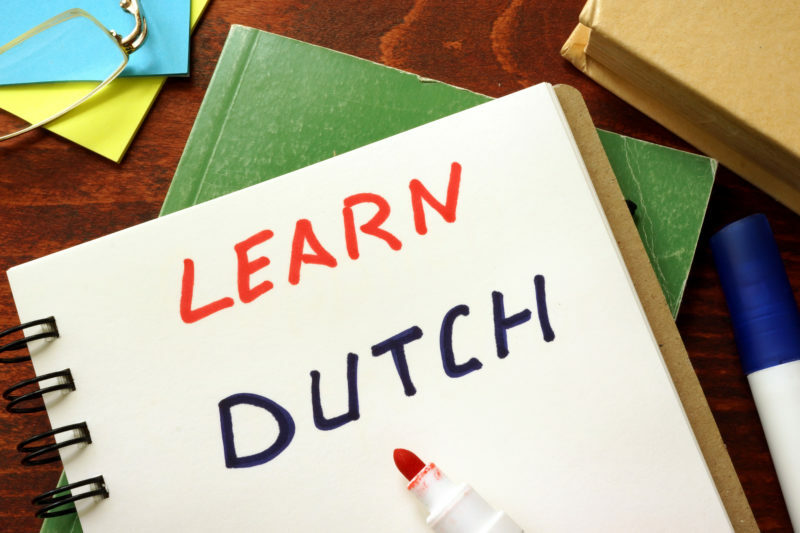 Have you ever asked yourself “how to learn Dutch in 3 months” or “how to learn Dutch effectively“? Learning an additional language is a very impressive skill to have. Whenever I see people switch from their native tongue to another language, it signals that they are worldly, diverse, and dedicated. It takes hard work and energy to become fluent in a new language. One of the best languages to learn is Dutch. It is the native language of the European country Holland. This is a great language to learn for people that want to travel to the home country and practice as Dutch people typically also know English. There are several key tips and strategies on how to learn Dutch effectively and I’m going to share them with you. The most preliminary question to ask yourself before embarking on this wonderful journey of learning Dutch is “why do I want to learn”. This outlines your goals, timelines, and feasibility of your techniques. Some people want to learn a new language for more informal purposes such as communicating with a spouse or family member in their first language. You may want to learn to be conversational during trips to Holland or to be able to understand media such as film that comes out the country. Or learning an additional language could purely be a hobby and personal goal. More formal reasons to learn include international professional negotiations, a relocation to Holland, or to secure work as a translator. Determining this will dictate if you need to barely become conversational or if you should work hard to become as fluent as a native speaker. Also, some motivations to learn require you to focus more on reading, listening, or speaking. This should be kept in mind and reflect what you focus on in your studies. It so much easier to learn a foreign language in this modern age than it was decades ago. Technology provides many resources to aid in learning Dutch. There are websites and free apps to download to your phone to practice daily with reading, writing, speaking, and listening skills development. The majority of these resources are free like Duolingo and Memrise and there are some pay programs like Rosetta Stone. Audio platforms like Pimsluer that focuses on understanding the speech and enunciation but little to no focus on reading/writing. These options make it easier and more affordable than traditional methods of learning. Many studies show that these apps and tools are more effective than a formal college course in the respective foreign language. Communicating with a language exchange partner is a vital step in this self learning process. This step shouldn’t be started until you are at least several months in to the learning process. You want to be at least almost barely conversational so you can interact with your partner in the language you choose. This will help with understanding a native speakers voice, dialect, and slang. It will help you practice speaking and enunciation of your words correctly. It is more effective for your language partner to catch a mistake you’re doing than for a computer program. There are a plethora of language exchange apps to download and websites to visit. It is not difficult to find a partner online and this could lead to long term friendships. Preferably your exchange partner should be a native speaker of Dutch and of the same gender. It is more accurate to emulate the speech of the same gender and to minimize talking unnatural. For language exchange, a couple of great apps are Tandem and Billingua. You may have plans to go to Holland and order your favorite ale in the pub speaking in Dutch or to flirt with your Dutch lover in their native tongue; however for many visiting Holland and being immersed in the culture and language is not possible. Furthermore, even if it is easy for you to travel there you need to know how to learn Dutch in 3 months before you go. Immersion is still one of the most effective methods to naturally pick up a language but the next best thing is creating an artificial immersion environment. This involves reading the news in Dutch, watching Dutch speaking television shows and movies, listening to Dutch music, or even converting the language of your computer to Dutch. This will create a stimulus that forces you to learn more and will expose you to scenarios not found in your textbook or phone app. For those that love the culture and history of Holland, it is very effective to learn more about these topics communicating in Dutch. To practice everyday for a quarter doesn’t mean to sit on the sidewalk with a hat to collect change and a sign that reads “will talk in Dutch for 25 cents”. It means that the first quarter of a year or three months that you’re learning should have robust dedication and consistency. Practicing for a week then taking a week off and back and forth will yield undesirable results. If you don’t regularly use it, you’ll lose it. Much like working out and developing muscles. This is also true for fluent speakers who do practice after years of not using the language. So dedication is imperative and at least an hour a day should be devoted to your new craft of being bilingual. This could be utilizing books, apps, language exchange, or other mediums. Doing all of this work does warrant tracking your success. This ensures you’re making productive improvements, getting closer to your goals and timeline, and that you’re learning the right way. Bombarding yourself with knowledge and not recapping or refreshing what was learned could put you in a position where knowledge eventually goes in one ear and comes out the other. There are sites online that allow you to test your skill set and review what you already know. One of the most important things to remember is to have fun and stay persistent. Rome was not built in a day and you will not become fluent and secure a job as a government translator over night. This will take some hard work and time but it is worth it and will pay off in the end when you accomplish your goal and can refer to yourself as a fluent Dutch speaker. Some of the main fuel to keep you motivated and dedicated is to enjoy what you do. It’s like the old saying “find a job you love and you’ll never work a day in your life”. Enjoy the process and you’ll know how to learn Dutch effectively.